Alexa internet of boat things – anchors aweigh! Before we get to the meat of today’s post, which involves both Hackster and Alexa, we would be remiss if we didn’t remind you all that Hackster’s Internet of Voice competition to create voice-controlled Raspberry Pi projects is open until August 31 2016. It’s open worldwide – go and check it out! We’re seeing Raspberry Pi users turn all kinds of things into Internet of Things devices: lorries, cat flaps, beer fridges – and now a boat. 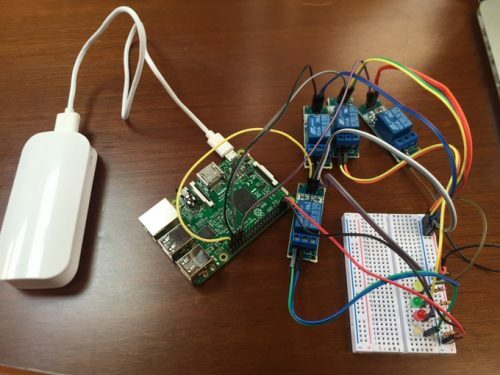 Being able to hook your Raspberry Pi up to Amazon’s Alexa means that it’s increasingly easy to use a voice-trigger to set off a physical task. In Ufuk Arslan’s case, he was interested in automating some of the functions of his boat. Pay attention to cables, colors and poles. You could easily end up wiring wrong cables and cause short-circuits or always running winches (both of which happened to me). The results? Easy voice-command control of different systems on the boat. We forgive the portrait format video. This is just a start – we’d love to see where Ufuk is going with this project next. There are already lots of other projects out there for boat owners – navigation projects are a great way to take expense out of your own setup. Ufuk has documented the build all the way from creating an Alexa skill to rewiring his boat over on Hackster. Ufuk Arslan? ;) Gotta smile at that name! I assume it wouldn’t work in the middle of the ocean though, when you have no internet connectivity? Ooops, I didn’t know that. While it may be a “thing” Liz, at ~7$ per MEGABYTE, it is not a “thing” for this, unless you have more money than sense. That is absolutely not so – have a quick google for prices. The outlay for the dish infrastructure can be quite substantial, but contracts aren’t a million miles away in price from the wireless broadband I pay for in the UK (in a village with no fibre optic, wireless served from a mast is our best option). Makes sense – they have the same cost of transponder on the satellite but a couple of orders of magnitude fewer users. Hmm…yes lots of global satalite data solutions. No, not many reasons to anchor in the middle of the ocean.